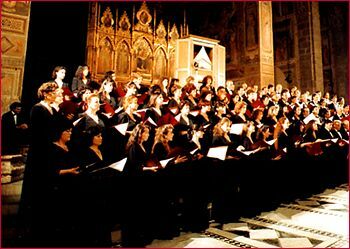 Il Maggio Musicale Fiorentino - FLORENCE LIVE! The Musical May Fiorentino was founded from Vittorio Gui in the 1933 and diventà immediately one of the more musical important festival of the monso. The Festival in itself always has been characterized of the originality of some cultural choices: between these the attention given to the problems connected with the “visual aspect” of the Work, therefore some of the finest directors and directors of this century have been call to you to collaborate to the Festival, therefore like famous painters and sculptures that have realized the scenografia and the customs. This has meant one constant exploration of Music of 20° the century, from the historical composers avantegarde artist to the more recent experiences, accompanied from the riscoperta one of the composition and the ended authors of the past in the oblivion. The Musical May normally keeps in the months of May and June, but the activities of the Communal Theatre continue all the year, with the exception of a small period in August, with the summery season, the Work of Autumn and the Season of the Ballets (September-December) and the Season Sinfonica (January-April); it offers incredible and a wide one chosen of various musical, able shapes to stimulate the various tastes of public a wide one. 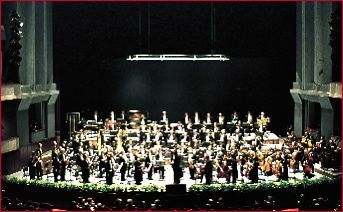 The Orchestra of the Musical May Fiorentino began in 1928, anch'esso thanks to Vittorio Gui, when the Stable Orchestrla Fiorentina was called. Composed of approximately 120 musicians, this orchestra has been directed from the greatest masters of our time, and from always it is admired for the immense operistico and sinfonico repertorio, that it spaces from the Baroque to contemporary music. The Chorus of the Musical May Fiorentino was formed in the 1933 from the first Musical May under the guide of Andrea Morosini. The Chorus is at the composed moment gives approximately 100 members and its repertorio does not include only the traditional and contemporary works, but also the more important sinfonice compositions and of chamber music.